Tulle & Combat Boots: floral + denim. That was a totally unintended two week hiatus! 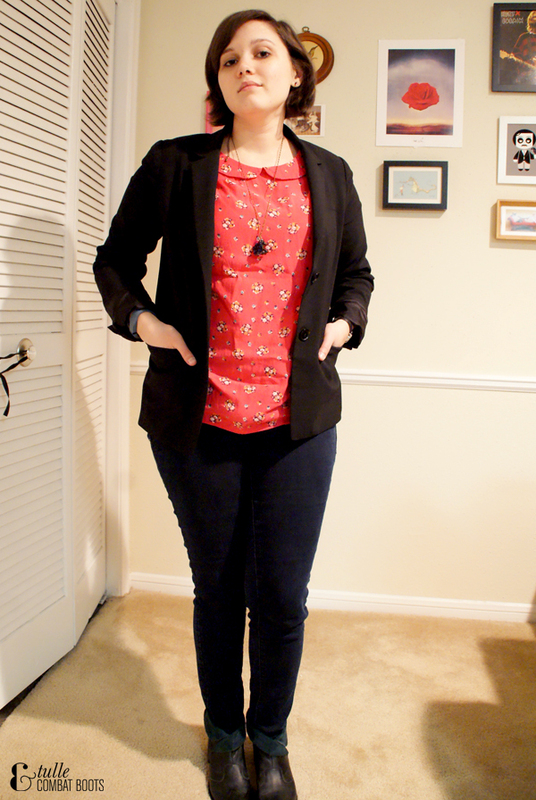 I've just been a little uninspired for both blogging & taking outfit photos. So I'm trying to get back into it. 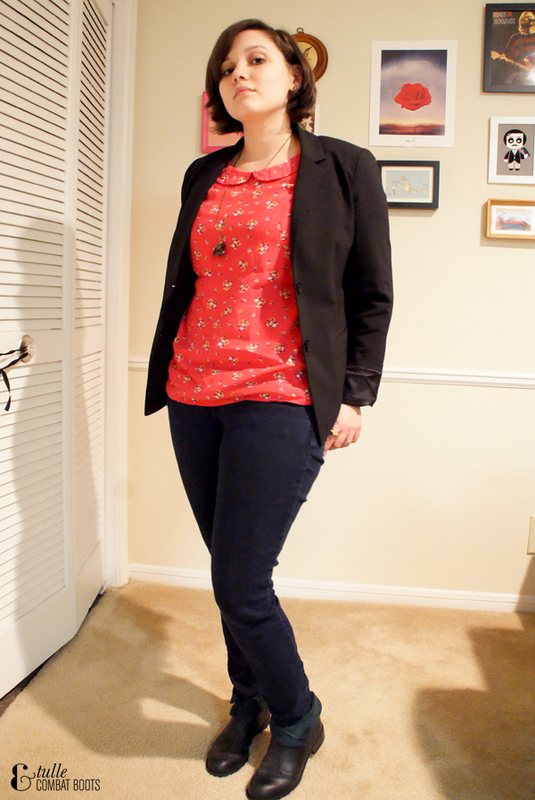 Thus, outfit post! 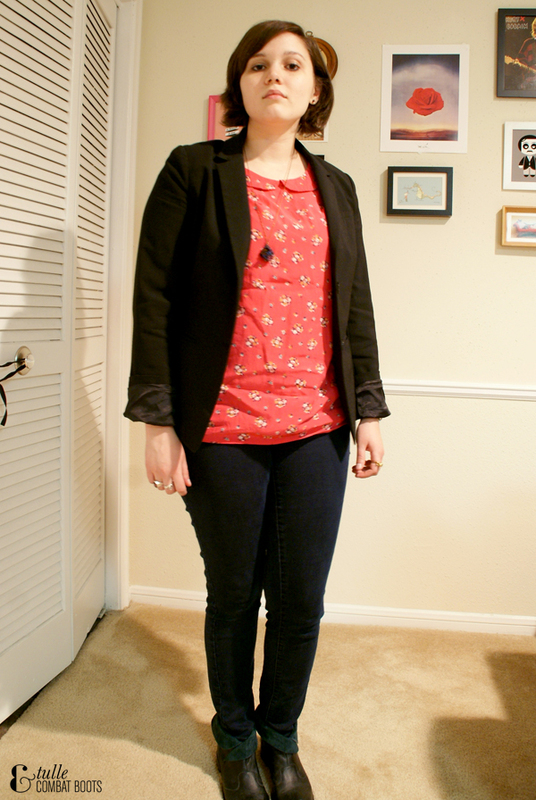 This is what I wore to work this past Friday—half casual & half business. 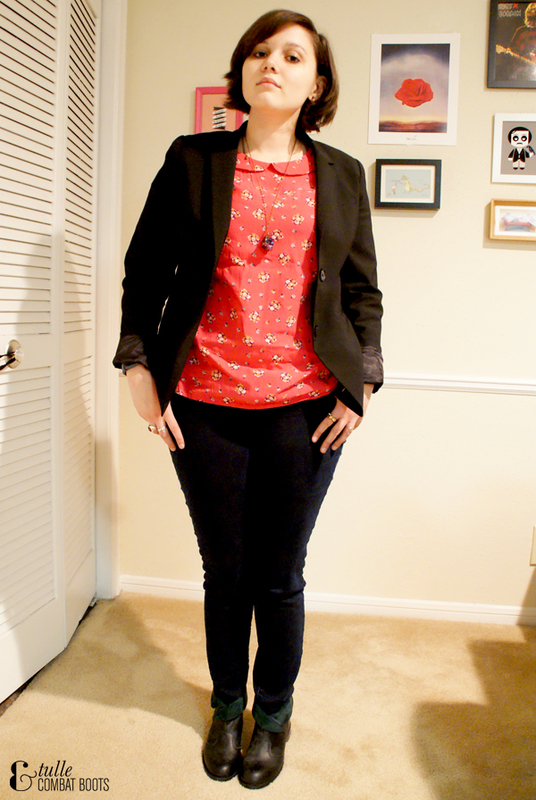 I really liked this outfit, I felt like it was a good balance between casual and business casual. 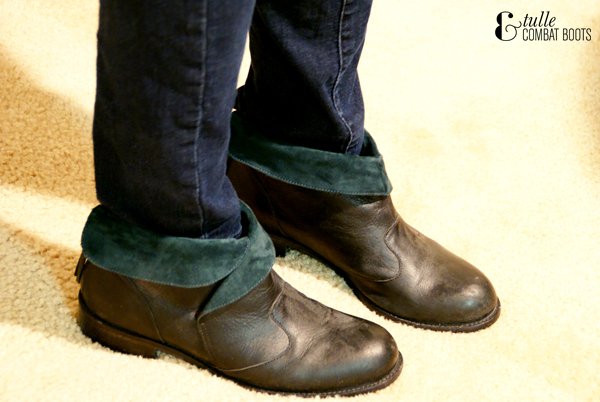 Also, I don't wear these boots enough, but thankfully these jeans weren't too long to wear with them. 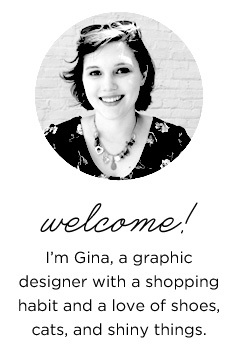 Also, because of the snow, I've been able to work from home for two days! I've rather liked it, but it will be good to go back to the office tomorrow.